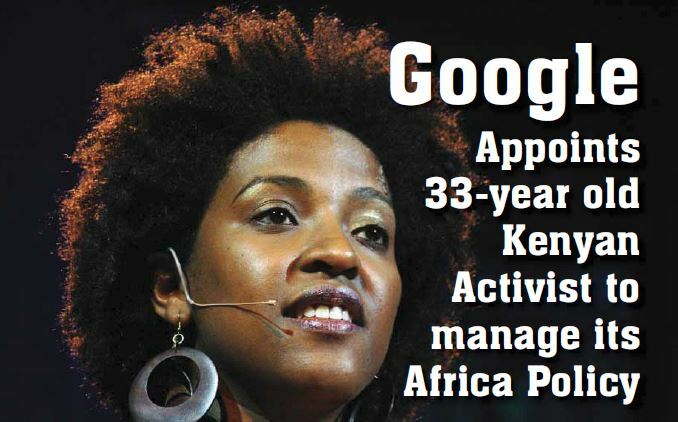 Google recently appointed Ory Okolloh, an online activist and blogger, as Policy Manager for Africa. The move reflects the company’s confidence in Africa’s growth and potential as a future tech giant. Okolloh was recently named one of the “Top 100 Global Thinkers” of 2010 by Foreign Policy magazine, an honor bestowed upon her for “teaching us how to crowsdsource emergency relief”, noted the magazine. She is the co-founder and executive director of Ushahidi (a Swahili word meaning “testimony”), a website created in 2007 following the disputed presidential elections in Kenya. According to a recent post on her blog Kenyan Pundit, the 33-year-old Harvard-trained lawyer writes “the role will involve developing policy /strategies on a number of areas of relevance to Google and the Internet in Africa and will involve working with different parties including government leaders, policy makers, regulators, industry groups and so on.” She continues, saying, her new role — which encompasses the whole of Sub- Saharan Africa — represents a “huge opportunity to bring Google’s resources to bear” in Africa. “Overall, I’ll be working to get more people online and policies favorable to that; also support for local content and an environment which supports innovation,” she told ReadWriteWeb. In 2006, Okolloh teamed with a group of internet activists and started Mzalendo, a website that tracks the performance of Kenyan members of parliament. They put up biographies of politicians, tracked their voting record and allowed Kenyans at home and abroad to comment. She also co-founded the mobile-informed website Ushahidi after traveling to Kenya in 2007 to vote in the presidential elections, which erupted in violence. 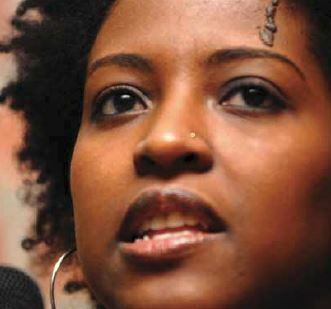 Ory Okolloh, who was based in South Africa but had gone back to Kenya to vote and observe the election, received threats about her work and returned to South Africa. She posted online the idea of an Internet mapping tool to allow people anonymously to report violence and other misdeeds. Technology gurus saw her post and built the Ushahidi Web platform over a long weekend. The site collected eyewitness accounts of violence using text messages and Google Maps, and plotted them on a map, using the locations given by informants. Such accounts collected included user-generated cell phone reports of riots, stranded refugees, rapes and deaths. Just as the name implies, Ushahidi (Swahili for “testimony”), collected more testimony with greater rapidity than any reporter or election monitor. By 2010, Ushahidi was being deployed for everything from the earthquake in Haiti to the floods in Pakistan to immigration reform in Arizona, transforming emergency response. “What we’re trying is [to] break down the … top-down approach” to conflict monitoring, Okolloh told Foreign Policy magazine. Anand Giridharadas points out: “Ushahidi also represents a new frontier of innovation. Silicon Valley has been the reigning paradigm of innovation, with its universities, financiers, mentors, immigrants and robust patents. Ushahidi comes from another world, in which entrepreneurship is born of hardship and innovators focus on doing more with less, rather than on selling you new and improved stuff. “Because Ushahidi originated in crisis, no one tried to patent and monopolize it. Because Kenya is poor, with computers out of reach for many, Ushahidi made its system work on cell phones. Because Ushahidi had no venturecapital backing, it used open-source software and was thus free to let others remix its tool for new projects. “Ushahidi remixes have been used in India to monitor elections; in Africa to report medicine shortages; in the Middle East to collect reports of wartime violence; and in Washington, D.C., where The Washington Post partnered to build a site to map road blockages and the location of available snowplows and blowers.